Incorporating state-of-the-art technology, the LF series delivers the coolest operating temperatures in the industry while offering superb quality air. Exceptional reliability for heavy duty in industrial applications. Widest product scope to match your exact needs. 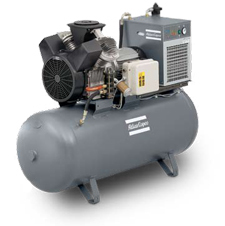 Compact installations possible thanks to optimum cooling, aluminum design and direct drive.